Turkey tetrazzini is made with high quality turkey, asparagus and spaghetti, all covered with delicious sauce. 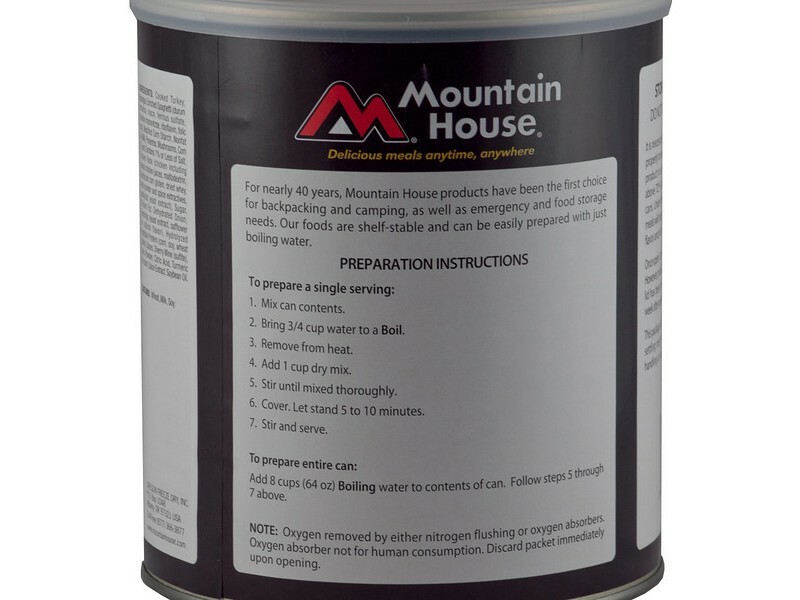 This product from Mountain House comes in a convenient #10 size can, which holds ten full servings of one cup each. 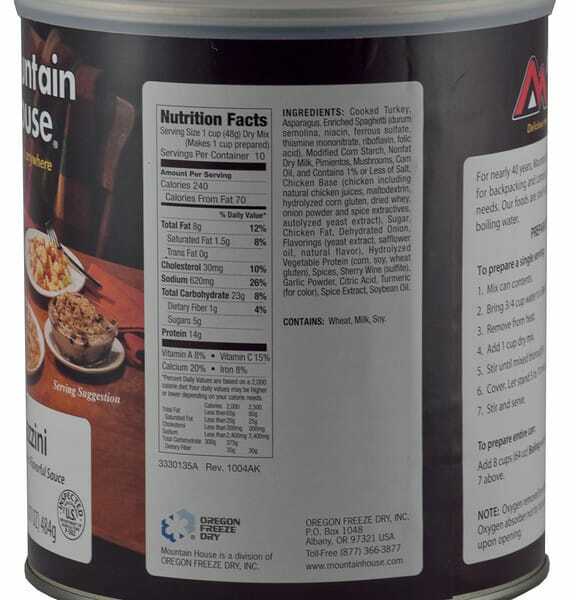 It will last on the shelf for 25+ years, making it ideal for any emergency preparation food storage system. Get one can to add diversity to an existing stockpile, or buy many to get your food storage system built up to where you want it. However many you buy, you’ll be happy you have this great food available when you need it. 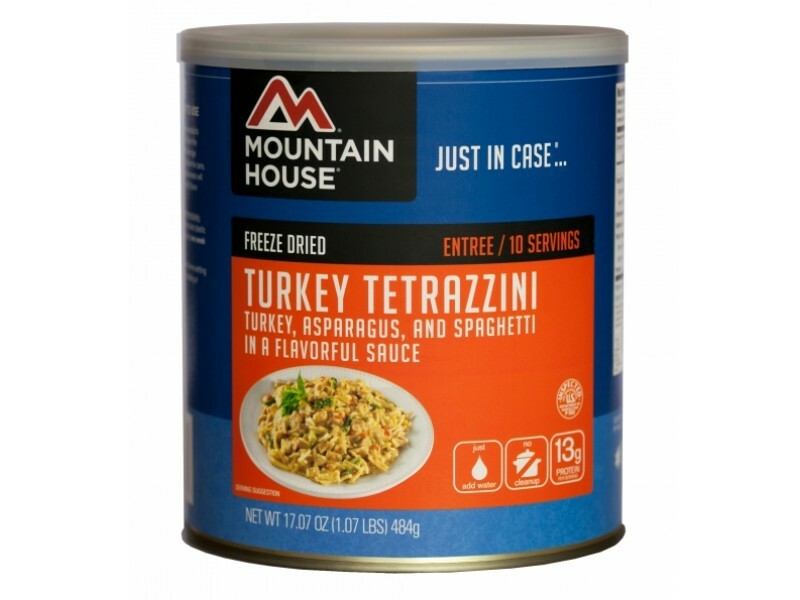 Turkey tetrazzini from Mountain House is a perfect addition to any food storage system. It provides you with great tasting food that is also quite good for you. 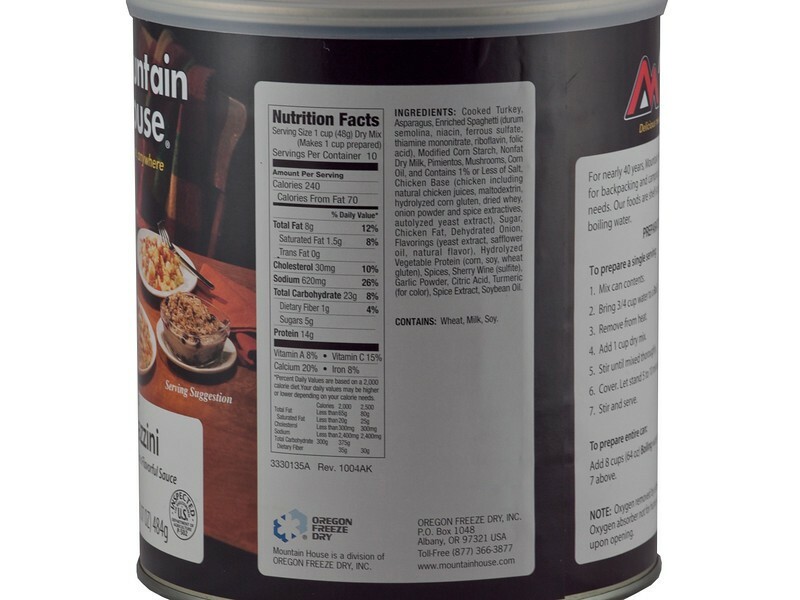 The ingredients were specially chosen by the Mountain House experts to provide you with many of the nutrients you need to stay strong and healthy, no matter what type of situation you’re facing. 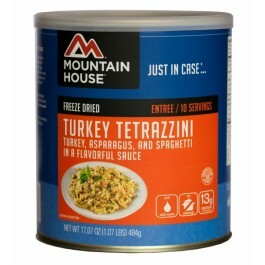 One of the best features about the turkey tetrazzini is that it comes in the convenient #10 size can. This can, along with the fact that it is expertly freeze dried, will allow it to remain good for 25+ years on the shelf. This is extremely important for any food storage program, and it will help ensure you have all the food you need, no matter when disaster strikes. In addition, these cans are easy to stack and store away conveniently in any pantry or other storage area. Each can contains ten full servings of one cup each, so you’ll be able to feed yourself and your family several great meals with each can. Preparation is really simple, requiring that you just add the correct amount of hot water and let the food heat up. 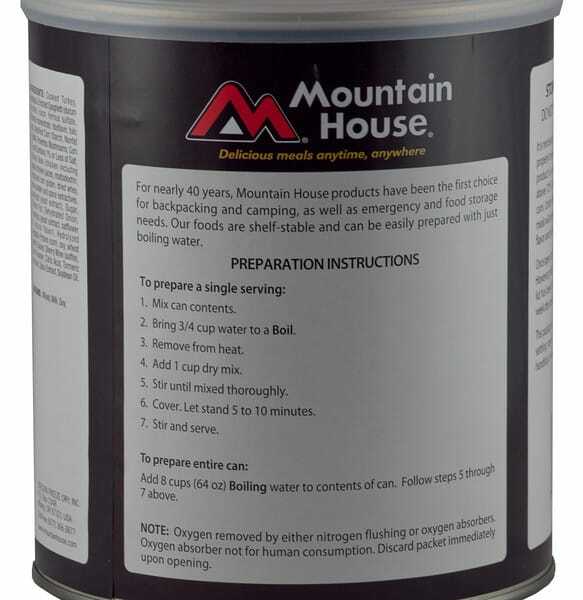 It takes about ten total minutes to prepare a great meal with this excellent product from Mountain House, so order yours today! Turkey, asparagus, and spaghetti in a flavorful sauce.